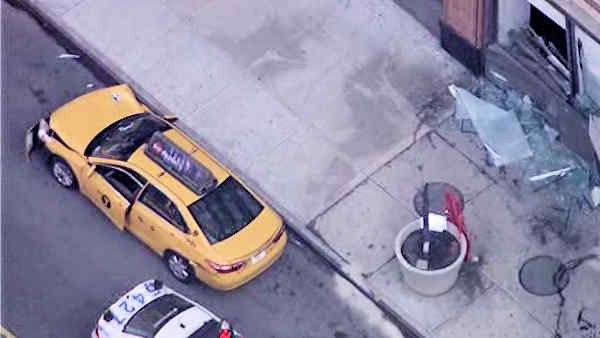 KIPS BAY, Manhattan (WABC) -- A taxi cab jumped a curb and slammed into a building in Manhattan Thursday morning, injuring at least three people. Police say the cab driver lost control just before 9 a.m. near First Avenue and 33rd Street. The taxi may have struck a Citi Bike rider before hitting the building. Authorities say three people were injured and taken to NYU Medical Center for treatment. None of the injuries is considered to be life-threatening. Police say it appears to be an accident.